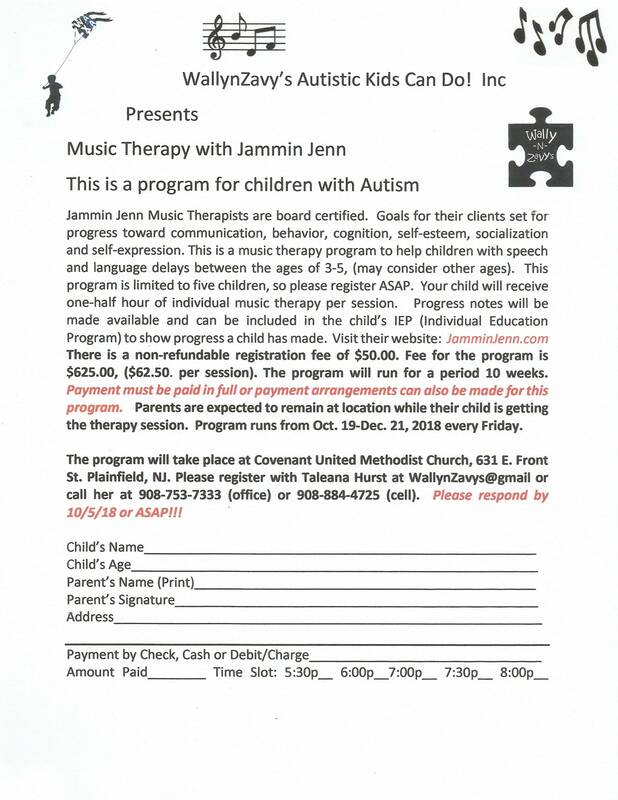 Jammin Jenn Music Therapy is a program that goal is to capture the power of music at work during the therapy sessions and simultaneously guide the client towards goals and progress. 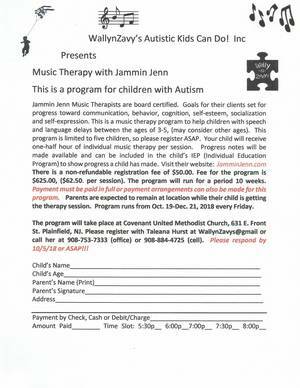 Musical activities are designed to promote communication, behavior, cognition, motor and perceptual goals for an individual or group. Please visit JamminJenn.com. Please register ASAP, space and time is limited.